rice bucket finger extensors 3x13 full rom. Interesting! Have any link to the study? It wasn't heavy isometrics though apparently. And also, if it was done on untrained people almost any kind of training for the forearms could have increased grip strength. Still it is interesting and worth trying out. Also grip strength is greater when the wrist is at a couple degrees of ulnar deviation compared to neutral position. Try closing a gripper at neutral wrist position and then deliberately kink it to ulnar side and close it again. You have significantly more power. Perhaps you naturally do this when you close a heavy gripper as the body likes to use its strongest position, but could be worth paying attention to still. Apparently neutral is with a couple degrees of ulnar deviation so nvm. Got myself a power rack, olympic bar, bench, and 170kg in weights today. Going to assemble it tomorrow. Stoked about being able to train 90% of what I do at home. 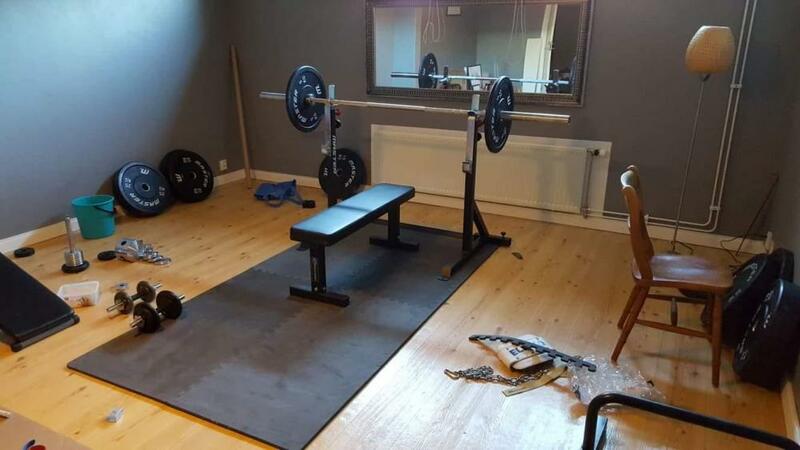 Thats great to be able to train at home! First time I have lifted for a couple of weeks again. Hopefully I can train much more now when I can train in the basement. I'll start low and do linear progression and shoot for a 170kg bench in the end. Other goals.. Eh, I dont have any. I only care about the #3 cert and BP atm. Oh and climbing. Could get a little lonely sometimes though. I enjoy training with others very much. Difficult when you work shifts though..
Left hand ghp 7 attempts. Some overcrushes with filed #2. Think I'll do some strapholds with it next workout. Extensors and flexors 5 sets each. I do this to see if there's any carry over to crush. I'll evaluate if there is in one month. Have been sick for a few days. Still not ok but thought I could do a mini workout. Will train grippers everyday next week. High intensity super low volume, same as today, but maybe change to 2 attempts on megalodon instead of 1, and then only one close. No particular reason, seems fun. Could work good for awhile. Grats on getting the the equipment! Must feel great to be able to have all that at home. Great benching, please teach me! That's a great set-up! You just need a squat rack with some attachments, and you can do whatever you want at your home! But training with others is half of the fun, at least for me. Me too, only with friends though. I don't like to socialize with people I don't know. Distance PR on the Megalodon, a few mm left now. Rest for at least two days now. Easy workout to get going, have a lot of catching up to do after being sick. Decided to start uploading videos of some gripper closes and bench sets.